New AAPN President and Haggar Chief Sourcing and Merchandising Officer Tony Anzovino discusses recent AAPN meeting, issues impacting the industry. 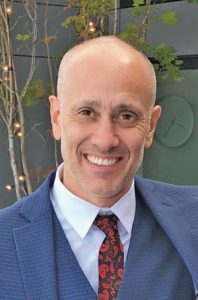 The Atlanta-based Americas Apparel Producers’ Network (AAPN) recently named Tony Anzovino — chief sourcing and merchandising officer at Dallas-based Haggar Clothing Co. — its 2018-2019 president. An apparel industry veteran with almost 20 years of experience in manufacturing, sourcing and technical development, Anzovino has led product development, sourcing and licensing teams at Haggar since 2012. He has served on the AAPN Executive Board since 2015, and was vice president before he took the helm as president this year. Following the recent AAPN Annual meeting in Miami, Anzovino agreed to sit down with Textile World and share his views on issues affecting the industry. Textile World: What is the concept of “AIQ” that recently has entered the AAPN conversation? Anzovino: AIQ or Apparel Intelligence Quotient is a person’s proficiency in, or knowledge of, the apparel and textile industry. We all have it — some more than others. There are no set of exams to test AIQ and it relies on some formal education but mostly depends on experience. TW: How does it relate to a traditional IQ definition and can that definition be applied to AIQ? Solve problems, which includes solving problems, accomplishing tasks, fashioning products, and performing complex projects. Componential intelligence — the ability to process information effectively, whic includes metacognitive, executive, performance, and knowledge-acquisition components that help to steer cognitive processes. Now apply these definitions to the examples of individual components of a career within our industry including textile production; design, product development and technical design; merchandizing and retail; manufacturing; sales and marketing; and sourcing and planning and you see that high AIQ people possess expert understanding in several of these areas, and are fluent in the balance — finding the common “thread” in all categories. Understanding the global apparel market and having the ability to make sound retail decisions, knowing how to evaluate quality and determine commercially acceptability are all trademarks of high AIQ. TW: Contempora Fabrics Inc.’s President Ron Roach had the idea to create the recent AAPN Carolinas’ Mill Tour as a way to educate his customers and prospects about the U.S. textile supply chain. Is that AAPN’s path to support AIQ? Anzovino: Absolutely. It’s clear that tech, automation and efficiency are present in the U.S. textile manufacturing environment. At every stop we saw hard-working, dedicated and passionate people looking to produce the best quality product they can — and succeeding at making world-class textiles in the United States. The tour consisted of AAPN members from Target, Patagonia, VF, VF Workwear, Columbia, Lacoste, Academy Sports, Haggar, Full Beauty Brands, and Superior Uniform Group, as well as the AAPN team and Ed Gribbin, CEO, Gribbin Strategic LLC and senior advisor, Alvanon. First stop on the trip was Unifi Inc.’s REPREVE® plant in Yadkinville, N.C. It is the largest producer of continuous filament poly yarns in the western hemisphere. The amazing thing about this plant is that it’s all done using recycled water bottles. Next up was Contempora Fabrics in Lumberton, N.C. This is an employee owned, ESOP, company so everyone we met with was an owner! It is a circular knitter, knitting both tubular and open-width knit jerseys, interlocks and specialty fabrics in poly — which is 70 percent of its business — cotton, blends and more, specializing in active products. Next we visited Carolina Cotton Works Inc., a family-owned dyeing and finishing facility in Gaffney, S.C. This stop really showed that there are opportunities in this hemisphere to be faster. To quote their head of sales: “to get speed, you need smart,” and “to get speed, you need inventory.” This could be yarn, greige, finished fabrics, etc. After Carolina Cotton was Parkdale Mills Inc. in Gaffney, a company celebrating its 101st year! The mill produces enough cotton to make 5 million T-shirts each week using automatic sorting, mixing, cleaning of the cotton from bales of different grades to create a uniform quality — 24/7/365. Like Unifi, they are a shining example for the world in sustainable textile production. Last, but not least, we visited American & Efird (A&E) in Mt. Holly, N.C. A&E has been in the textile industry for more than 120 years and has facilities all over the world. It tests and manages more than 100,000 colors in its library and has the ability to match any colors that are not. That level of exposure to the industry at work adds tools and intelligence to the AIQ toolbox. TW: As president of AAPN, what were your biggest takeaways from the recent meeting in Miami? Anzovino: Speed continues to be the main topic of concern. We discussed that there cannot speed without trust — and ownership. Someone has to make an investment in something in order to be fast — fiber, fabric and trims for example, and have open capacity. This is all about being truly transparent. The robots, cobots and AI are coming — really they are already here. It’s not about what we think is going to happen in the next two to three years, but what will actually happen in the next 10 years. Of course, being more direct to the consumer is the constant conversation. How do we create a more direct path from the designer to the consumer? What if the consumer is also the designer? Will we have local for local manufacturing? Will the robots and tech allow for custom garments to be produced on demand locally? These were some of the biggest takeaways from the meeting. TW: What has been the effect of a changing retail environment on apparel companies, and Haggar’s approach to the market changes? Anzovino: We’re fortunate to have tenured retail partners who believe in our product innovation and quality. They have allowed us to bring our assortment to the U.S. consumer in both their brick and mortar environments as well as their ecommerce sites. TW: Is the much talked about reshoring trend real? Anzovino: There’s some reality to it but it’s becoming more of a NEAR-shoring trend. The amount of technology in the hemisphere is amazing — and growing — as is the capacity. There are huge investments happening in Guatemala and Honduras, as well as the United States on the textile side of things. The trade-off on speed with reshoring is the cost of the product to the consumer versus the cost of the product coming in now from Asia. Near-shoring brings production back to the hemisphere with shorter lead times at more affordable costs. TW: What do you see in the future for U.S. apparel, Haggar and the sourcing environment? Anzovino: Continuing to understand our customer’s needs and work diligently to bring the best quality and innovation to them. As with all apparel companies, we’re looking at interpreting trends and bringing them to our retail partners and the end consumer. Driving consumer demand — building the best quality and most innovative product — is our goal.